Having an effective backlinks strategy can make a dramatic difference in the amount of traffic your website receives from search engines. And while building a bounty of reputable backlinks takes time and a bit of research, it can be more than worth the effort once you see your site reach the top of Google’s rankings. If you’re interested in learning how to get quality backlinks to boost the SEO for your small business, here are five winning strategies to help you get started. When learning how to create backlinks, guest blogging is among the first tactics you should know. This technique involves writing articles for blogs other than your own and including a link to your website within your writing. This practice typically results in high-quality, authoritative backlinks, but only if Google trusts the site your article appears on. So spend some time researching the top blogs in your industry, and reach out to their webmasters to see if you can strike up a partnership. In addition to writing blog posts, drafting press releases is another effective way to seed links to your site. Many outlets on the Internet are willing to publish legitimate press releases, and depending upon the newsworthiness of your latest exploits or innovations, the potential to go viral is a distinct possibility. This is due to the fact that many niche blogs and news websites peruse press releases for content relevant to their readers. Just be sure to include a catchy headline and a link to your site in every press release you issue. 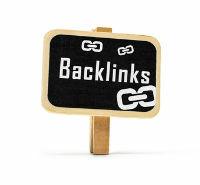 Another proven way to create backlinks is through article marketing. This form of advertising involves companies that write articles on your behalf before distributing them to a variety of publishing platforms. This avenue isn’t as effective as writing guest blogs, but as long as your limit your article marketing to sites within your industry, you should notice measurable results. To keep your ranking high, be sure to do your research and only use services with good reputations. Seeing as social networks are all the rage these days, you should add a few backlinks to your site on your personal and professional profile pages. Facebook, Twitter, and other popular networks tend to have a high degree of authority with Google’s algorithm, so including a link in your bio is always a good idea. An abundance of document sharing sites exist online, and you can gain some valuable backlinks by uploading your articles, white papers, and e-books to such sites. Depending upon how many articles and press releases you’ve already written, this process shouldn’t take long. And since many document sharing sites are A-OK in Google’s eyes, such resources ought not be overlooked. Learn even more helpful tips to reach the top of search engine results pages by exploring our extensive library of SEO articles.